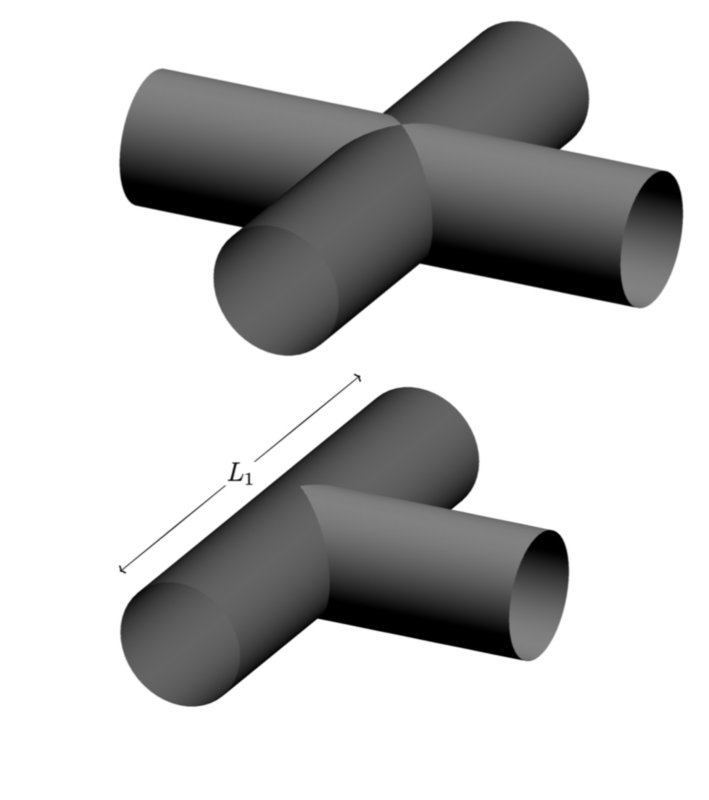 How to draw two intersecting cylinders? To the best of my knowledge, tikz does not yet have a true 3D engine, meaning that one has to do things like 3D lighting more or less by hand, but I might be wrong. I was also not sure if you really want the mesh (since there is none in your MWE), but it is not too difficult to add it. 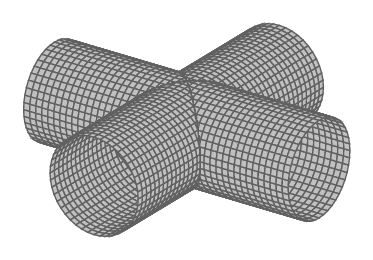 Here is a way to draw those intersections of cylinders with addplot3 in TikZ/PGFPlots. 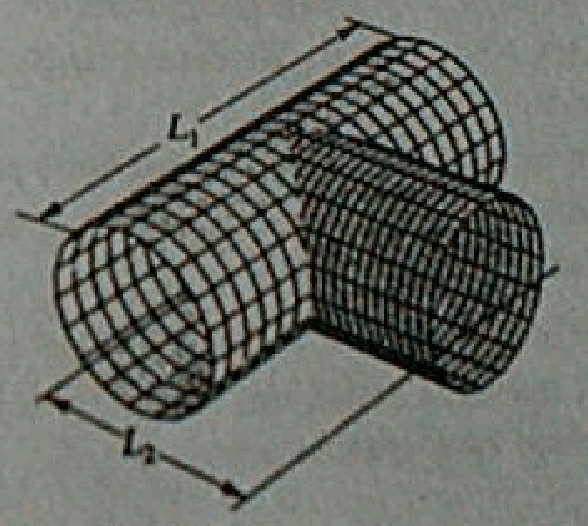 The code for the X-cylinders. 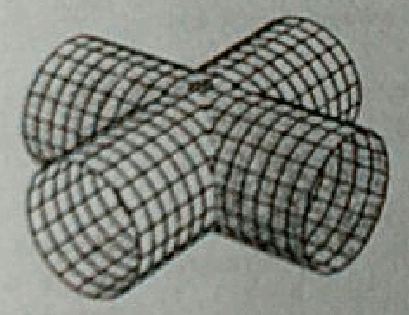 Here is the code for the T-cylinders with dimension cotes. 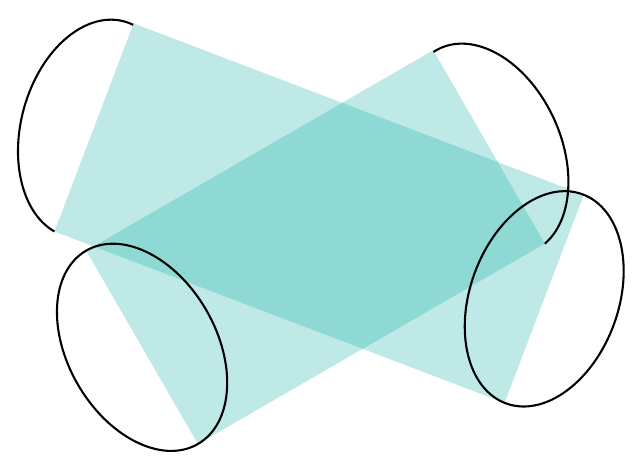 Every half of cylinder was drawn in a different plot for better visualization and easy handling. 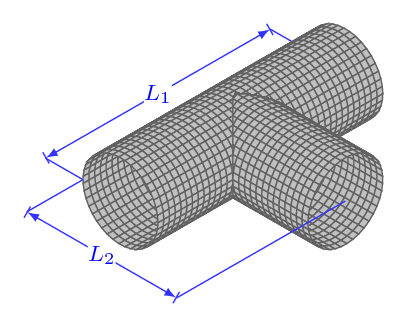 Thanks to @Marmot's answer on my question Truncated cylinder in PGFPlots, I could separate the portions of truncated cylinders as halfs along both sides of their respective axis. The order of their appeareance in the plot has a reason: is to avoid overlaping in visualization. In order to abbreviate the codes and make them easy for changes eventually with comodity, I created one style with needed keys for all the cylinders, where special features could be set to enhance layout. How to draw two intersecting graphs? How to draw intersecting two lines on a plane?